Hi guys, good afternoon. 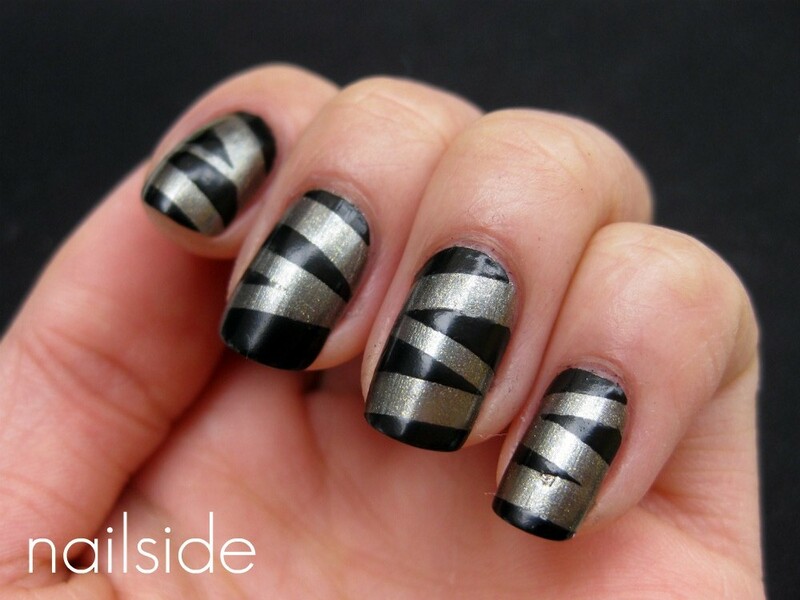 For this tape mani I used a tape pattern that you're probably already familiar with by now. I can't get enough of it! And today I called it 'Black mummy' because it looks like the grey parts are wrapped around my black nails. However I applied the grey first, not the black. super jealous, i want the diamond collection so bad. i have the other half of untamed luxury and it isn't as nice! I am so jealous! I don't know how you do it, I've tried doing this type of design with tapes and I wreck the whole lot... it always peels the colour I used as a base and I don't get clear stripes. Your nails are superb! You're so good with tape! 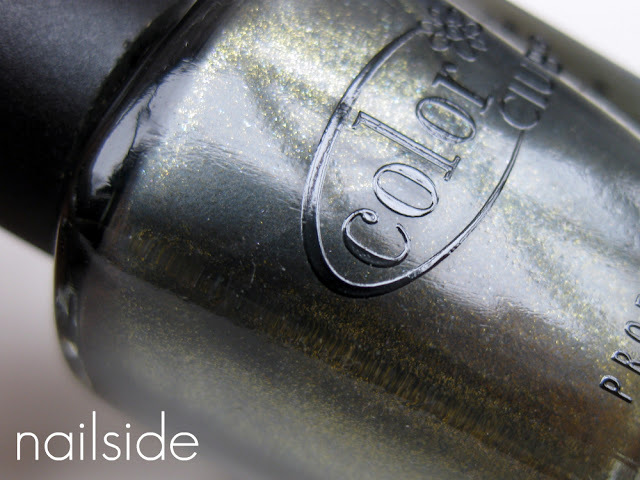 Love all your manis! Nice :) I can definitely see the 'mummy' in it! I love this!...i really need to try experimenting with scotch tape ><...but i just got 43 new plates in the post to test...noes lol! Thank you everyone for all the love! :-) Glad ya like it. @rebecca: Guess you'll have to reward yourself with more polishes, besides Choose Me/OPI/Zoya/Orly when your semester ends! Lol. And Snakeskin is such a pearl, I'm surprised I don't see it around more often! @Beauty Addict: Thanks :) Hmm, too bad it's not working with you. Do you give the basecolour enough time to dry? Or perhaps try other tape? I once used tape that left its stickey residue... Didn't work! And a tip: try using smaller tape strips. If they're too large (or your nails 'too' round), they can get wobbly and might not attach fully to the surface which causes the bleeding and sloppy lines. Hope it helps! @SarahLouise1986: 43?! Scotch tape will have to wait a looong time, haha.